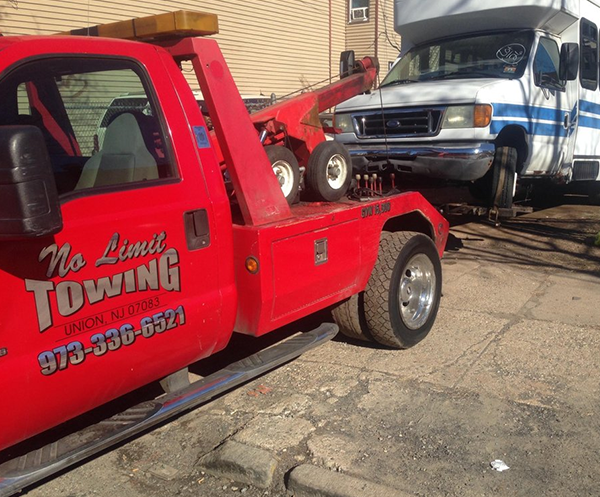 Towing service Irvington NJ by the professional drivers and tech of No Limit Towing. We are a full service towing company specializing in all forms of roadside assistance. Are you stuck on the road, somewhere in Irvington, do you need a roadside assistance or towing to a close-by station, looking for a local junk car service in Irvington New Jersey? give us a call 24/7 and we'll come take care of it for you. Irvington NJ No Limit Towing and Cash For Cars is one the most reliable company in the region. When it comes to towing our objectives are to provide safe transportation of your vehicle to its destination at a price that is as fair as fair gets. We take pride in our high quality towing services. Which after you see and feel our pride you’ll be hooked, hence we will be your #1 choice for all your towing needs. We are a top rated towing company, our main car center is in Irvington NJ. Our trucks and mechanics are located in several locations including Union, Morris, Essex, Passaic, and Hudson county so we can serve and reach customers in need as soon as we get the call. We offer fair pricing and reliable towing services for No Limit Towing & Cash For Cars. We have been serving this area for many years and we are familiar with the geography and availability of auto services in the surrounding towns. Our Irvington office use only quality towing equipment and new model tow trucks to ensure the best results for drivers and cars who need our service. We meticulously maintain our tow trucks so that they are reliable and ready to assist in emergency situations. Our first goal is to satisfy our customers we are A+ rated company with #1 reliability in NJ so you can trust us. We have been towing cars and buying junk cars for several years, and this is what we do best. Sell your junk car to us and you will be very satisfied. Our Irvington NJ office owns a new fleet of trucks that are ready to accommodate you in any need. We offer free towing and cash for junk cars. Our efficient and professional dispatchers can handle any call from emergency roadside assistant to quick cash for junk, and also can handle any call or quesiotns that may arise during the car removal process. When you schedule your junk car removal appointment rest assured that it will be honored, the people that answer your call are the one running the business and they have full interest in providing best possible service. Irvington owing and junk cars by No Limit Towing has been in the business of picking-up and paying cash for junk cars longer than anyone out there and through hard work and the act of treating our customers right we have built a business that is capable of offering the most possible cash for junk cars to our valued customers. If there is any doubt or uncertainty about what you feel your junk car is worth, or especially if you are curious of the price given to you by another company give us a call, and you may be surprised to find out how much cash you can get for that junk car.